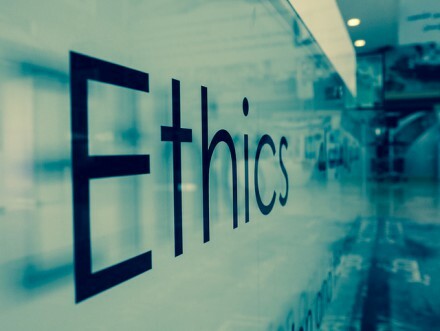 Much has been said and written about the role that ethics plays in current public relations professionals’ activities on behalf of employers or clients. But I don’t see as much aimed at the young, eager-to-become PR pros – commonly referred to as “students”-, to help them understand what they should know as they prepare to enter the field. The thought occurred to me that (harking back to my wannabe civil engineering days) the best way to ensure that the “structure” endures is to ensure that the “foundation” is solidly constructed. I have no problem with what we have for today’s practitioners…continual and continuous reminders…webinars…seminars… articles highlighting best practices from thought leader. We all need a gentle nudge once in a while. But let’s not lose sight of the future, and these young pre-professionals are the future. As a public relations professional now teaching those next generation(s), I find some comfort in the knowledge that they are getting the framework for ethical practice. They are being made very aware of both the actions that could be deemed “unethical” and the consequences of those actions through textbook studies, case analyses, and classroom discussion. And PRSA’s Code of Ethics plays a very visible role in the discussions. I would argue, though, that we…educators as well as professionals…can and should do more. Yes. The textbooks typically devote a chapter to the topic of ethics. But that’s not enough, in my opinion. We need to tie this “textbook learning” to real-life situations. We need to put these would-be professionals face-to-face with current-day situations and challenge them to analyze and offer possible ethics-based solutions to the debacles that entertain us on a daily basis in the news. Whether it be bankers and if-fy lending practices, lawyers and legal shenanigans, educational institutions’ questionable stances, government agencies delving into our private lives…the menu of choices, sadly, is infinite, varied…and worrisome. Finally, this exercise should take place both in the classroom and in internships. They need to be presented real issues and be given the task of analyzing, strategizing, and presenting their own recommendation as a public relations professional for a course of action. Yes, it’s time-consuming. Yes, it means that we, the professionals to whom the students look for guidance, must add yet another task to our already copious to-do list. But these students…our future industry leaders…will have had a real look at real-life challenges for the public relations professional and will realize that it’s not all conveniently mapped out for them textbook-style. They will have learned that ethics is hard work! “Construction” will have begun, though. The foundation will have been laid for the future. I couldn’t agree more, Kirk. The program at UNLV’s Greenspun School of Journalism and Media Studies requires a full-semester class on ethics. It is critical for us to help the next generation understand the ramifications of their actions to themselves, their clients, and the industry as a whole.